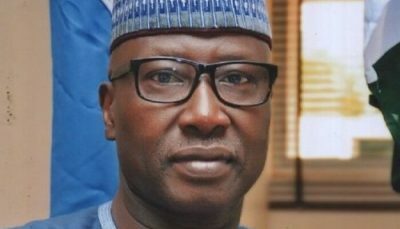 SECRETARY to the Government of the Federation (SGF) Boss Mustapha yesterday declared that governing boards of federal agencies or parastatals have no power to remove Chief Executive Officers appointed by the President. But he said boards may articulate infractions, investigate wrongdoing and make recommendations to government through the supervisory ministry. He spoke during an induction programme for governing board members of federal parastatals, universities and medical centres organised by the Bureau of Public Service Reforms, in conjunction with the Department for International Development, a United Kingdom (UK) government department responsible for administering overseas aid. His clarification came few days after the National Health Insurance Scheme (NHIS) Governing Board suspended Prof. Usman Yusuf as the scheme’s Executive Secretary. Yusuf had rejected the suspension, claiming that only the President can suspend him. Even though Mustapha did not specifically mention the NHIS issue, Mustapha said the Federal Government was concerned that most governing boards have not understood their roles in the corporate governance of the agencies they superintend. Noting that the government has noticed some infractions on the side of some boards, he listed the infractions as including what he called the board chairmen’s undue interference in the day-to-day activities of their parastatals and agencies and blatant disregard for extant regulations guiding the conduct of board meetings. Other infractions are: interference in the function of the CEOs; issuing directives to members of staff without recourse to the CEOs; imposition of disciplinary measures against the CEOs in flagrant violation of the laid down rules; and using labour unions as agents of distractions in the agencies. Mustapha reiterated his position that the roles of the boards of government agencies are limited to setting operational and administrative policies for their agencies in consonance with government’s policy directives. He told the board members to take their appointments seriously, warning that government would not hesitate to enforce disciplinary actions on anyone who goes contrary to the terms of the appointment. Acting Director-General of the BPSR Mr. Dasuki Arabi said the induction was timely. He said while top-level federal civil servants like the permanent secretaries grow though the federal civil service and acquire wide public service knowledge and experiences in the conduct of government businesses, most CEOs and governing board members of federal agencies, to some extent, lack such knowledge and experience.